Online dating has seen a boom over the past fifteen years and now dominates the dating scene but, in recent years, has been heavily criticised by the media for its fake profiles and people not being genuine. Instead, they are now embracing the idea of using more traditional, confidential ways of meeting other professionals and Dating Options is offering that valuable service throughout the United Kingdom. So would you like to be your own boss and earn your living working flexibly from home, helping single people to find their perfect partner? If you have excellent people skills, then this is your opportunity to join Dating Options as a Personal Matchmaker and do something you feel passionate about. 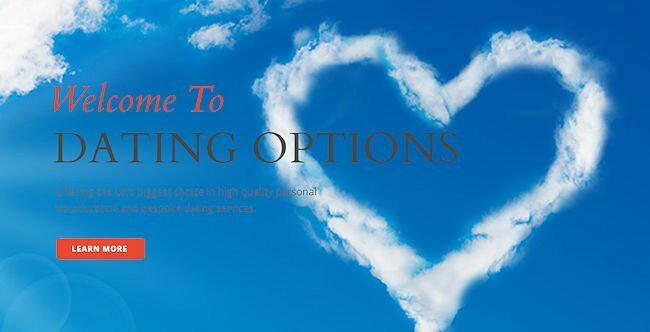 You would have the opportunity to secure your financial future by building a profitable and fruitful business as a local dating expert, within your county or region, offering a real alternative to internet dating and helping single people to find their perfect match, safely and professionally. If you feel that now is the right time for you to make those positive changes in your life and earn an excellent income from helping others to find happiness, then Dating Options would love to hear from you. You can contact Business Manager, Linda John, on 0845 2303199 to find out more about how this fantastic opportunity works or visit their website at www.dating-options.co.uk to read more. The minimum Investment for this franchise is £14,995. Great value!